Customize your sports infographic with well-designed free sports infographic elements. 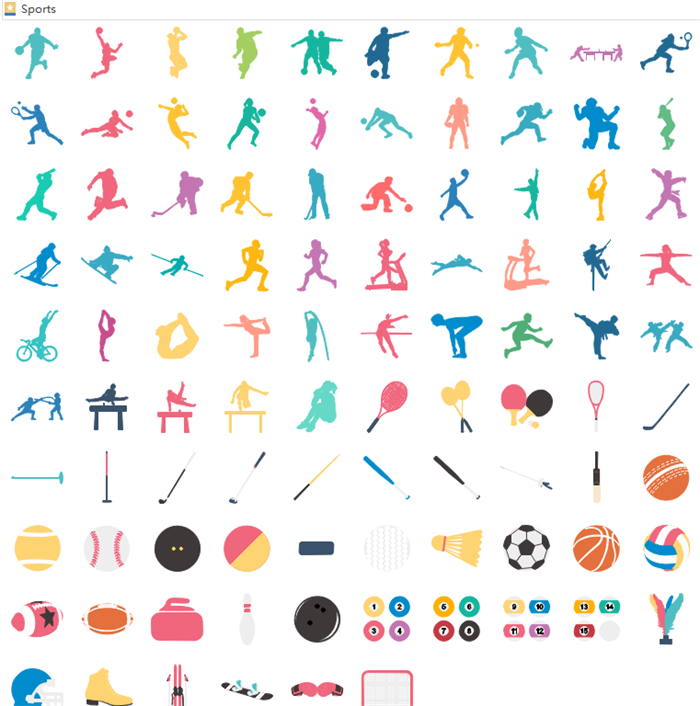 Users can find various sports infographic elements in the libraries of Edraw infographic creator. Just like the below picture shows. And they can also use, edit, download and print these elements for free. This software even also provides a set of drawing tool for users to create their own elements if built-in ones can not satisfy them. Click infographic elements to see more! Except sports infographics, Edraw infographic maker can also create many other kinds of infographics, such as medical infographics, tourism infographics, technology infographics, music infographic, etc.